2. 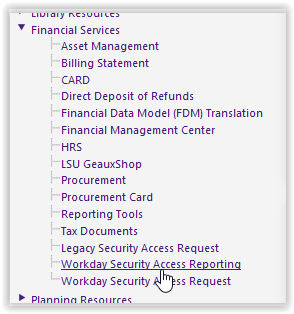 From the panel on the left-hand side of the homepage, select Finicial Services | Workday Security Access Reporting. 3. Here you will find the Workday Security Access Reporting slip as seen in the image below.